League City Police are seeking a Sugar Land area man for the murder of Clarence Wayne Harris II, 43, who was shot in front of his house at 720 Mayhill Ridge Lane shortly before 9 p.m. Wednesday, June 28. He was identified as Sayantan Ghose, 41, who left the scene before police arrived. Amanda Harris, 36, also was shot and was transported to an area hospital with multiple gunshot wounds. League City Police have obtained an arrest warrant for Ghose, “for the Murder of Clarence Wayne Harris II.” Bond was set at $150,000. Ghose is described as a white male with a shaved head and is of Pacific Island descent. He was seen leaving the scene in a gray 2011 Toyota Corolla bearing Texas license plate number DK6M556. 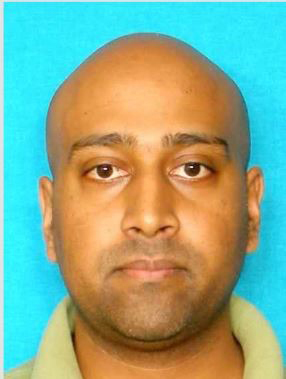 Anyone who knows the whereabouts of Ghose is asked to contact League City Police at 281-332-2566.